Earlier this year, Snapchat let on that it has set some lofty financial goals for this year — the company hopes to reach $1 billion in revenue by the end of 2017 — and today it illuminated the path to those goals a little more clearly, announcing the launch of a new API that will allow third-party advertisers to serve ads programmatically on its platform for the first time. The announcement also comes with some new ad formats and placements — some ads will be shown between users’ stories and Snap Ads will be swipeable for more information and content, taking users to mobile Web pages, or allowing them to download a marketed app. Snapchat has committed to reviewing every ad for quality despite expanding its offering. The social giant-in-the-making also boasts an impressive stable of measurement partners, including Nielsen, Moat, and Google DoubleClick. The company has released a list of initial advertising partners and creative partners. 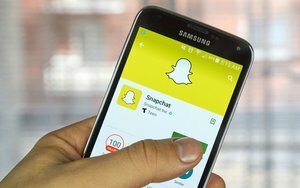 Advertising partners -- including 4C, Amobee, VaynerMedia, Brand Networks, SocialCode, TubeMogul, Adaptly and Unified -- will develop the software for advertisers to plug into Snapchat’s platform. Creative partners -- including Big Spaceship, The 88, Alldayeveryday, Matte Finish, VaynerMedia, Virtue, R29, BrandLab, Moment Studio, Stun Creative, The Mill, Studio Number One, MediaMonks, Unit9, Contented and Truffle Pig -- all have experience with social content and Snapchat’s vertical ad formats. As the specter of Snapchat’s IPO looms overhead, it appears that the social platform has learned the lessons of its predecessors and will be ready when the time comes.